Participants who reached the goal of decreased body fat and increase of lean mass after interval training were taking methotrexate, sulfasalazine, or tofacitinib. 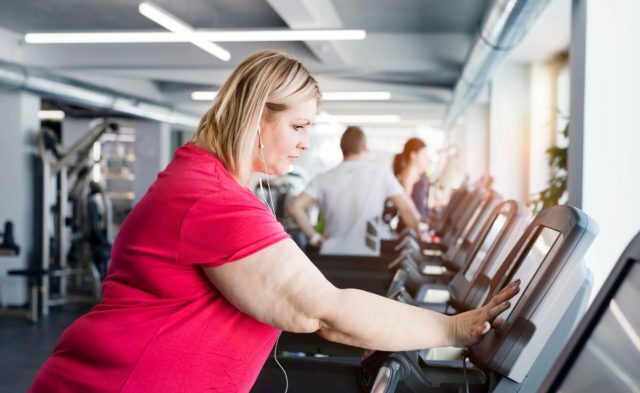 Individuals with prediabetes have shown a greater response to high-intensity interval training than those with rheumatoid arthritis, according to a study recently published in Arthritis Research & Therapy. This finding supports previous research demonstrating impaired muscle remodeling ability in rheumatoid arthritis. This study included 12 individuals with rheumatoid arthritis and 9 with prediabetes who were sedentary at baseline. These participants underwent 10 weeks of high-intensity interval training, completed body composition testing, vastus lateralis biopsies, and plasma collection before and after. Training included 3 sessions of graded treadmill exercise per week. Enzyme-linked immunosorbent assays were used to measure muscle interleukin-6 (mIL-6), plasma galectin-3, mIL-1 beta, mIL-8, mIL-10, muscle tumor necrosis factor-alfa (mTNF-alfa), and cytokines and myostatin in muscle. To analyze the interassociation of galectin-3, researchers examined a separate cohort of 47 individuals with rheumatoid arthritis and 23 matched controls. High-intensity interval training was associated with improved maximal oxygen consumption in both groups and Disease Activity Score in 28 joints. Although galectin-3 reduction was not associated with training, it was significantly associated with better maximal oxygen consumption in those with rheumatoid arthritis (r=-0.57; P =.05). Those with rheumatoid arthritis who achieved both lower body fat and increased lean mass were on regimens of methotrexate, tofacitinib, or sulfasalazine. Improved body composition was associated with lower mTNF-alfa and IL-6 (r<-0.60; P <.05), although those with prediabetes showed a more significant association between greater lean mass and lower mIL-6 than those with rheumatoid arthritis (Fisher r-to-z P =.0004). Also among those with prediabetes, this greater lean mass was associated with lower muscle myostatin (r=-0.92; P <.05; Fisher r-to-z P =.026). Improved body composition was not associated with either hydroxychloroquine or TNF-inhibitors among those who exercised. Limitations to this study included a small sample size and a resultant lack of significance in certain interassociations, as well as multiple pharmacological treatments among those with rheumatoid arthritis.